Jakarta. Indonesia has impounded more than 200 tons of garlic imported from China, warning that a microscopic worm infestation found in the shipment could put at risk plans by the Southeast Asian country to boost its own garlic crop. Since coming to power in 2014, Indonesian President Joko "Jokowi" Widodo has pursued self-sufficiency policies to protect farmers, but efforts to rely on domestic supplies of everything from beef to rice have at times caused shortages and price spikes. Chinese food imports have previously proved sensitive in Indonesia. In 2016, Beijing's embassy in Jakarta expressed alarm at media reports accusing China of using a “biological weapon” against Indonesia, after four Chinese nationals were arrested for planting imported chilli seeds contaminated with a bacteria. 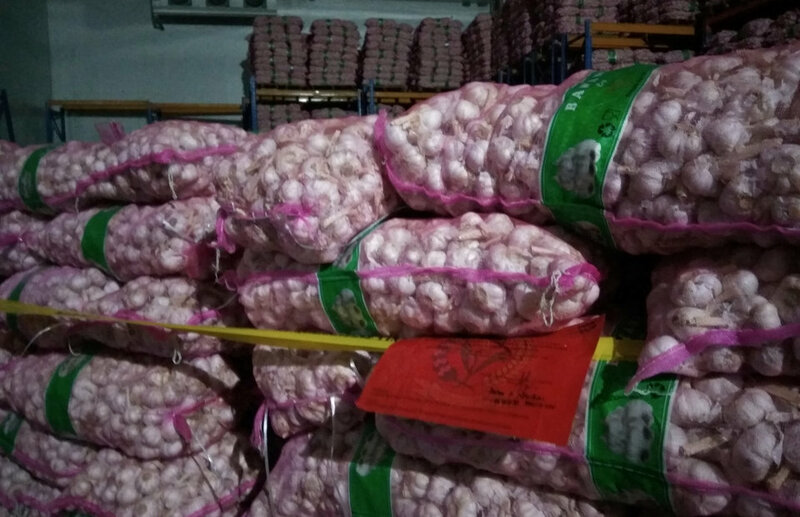 The 232 metric tons of garlic were imported from China in mid-February and after arriving at Jakarta's port were shipped to the island of Sumatra, the Ministry of Agriculture said. This could be "very damaging to our garlic farming when we are trying to achieve self-sufficiency," the ministry said in a statement on March 12. Despite being certified as free of pests in China, samples of the shipment contained ditylenchus dipsaci, a microscopic worm that infects onions and garlic, the ministry said. The nematology department at the University of Nebraska-Lincoln describes the worm as "one of the most devastating plant parasitic nematodes." When quarantine officials reported the discovery to the importer, the garlic had already been sent to North Sumatra, the agriculture ministry said. The controversy even stirred a heated debate in parliament this week when a member of Jokowi's ruling party called for a police investigation. Soetrisno, the chief executive officer of Tunas Sumber Rejeki, the company that imported the garlic, could not immediately be reached for comment. The Chinese embassy in Jakarta declined to comment. The garlic is currently being stored at a warehouse in Belawan Port, Sumatra, that has been sealed by police and the quarantine agency. Banun Harpini, the head of quarantine at the agriculture ministry, said on Wednesday the importer would be blacklisted. It was not immediately clear what other penalties would be levied. Indonesia plans to be self sufficient in garlic in 2019 by increasing the growing area for the crop by more than 70,000 hectares, but this may be an ambitious target since last year the country imported 434,000 tons of garlic, more than ten times the amount grown domestically. This year, the agriculture ministry expects 392,000 tons will be imported, mostly from China and India.